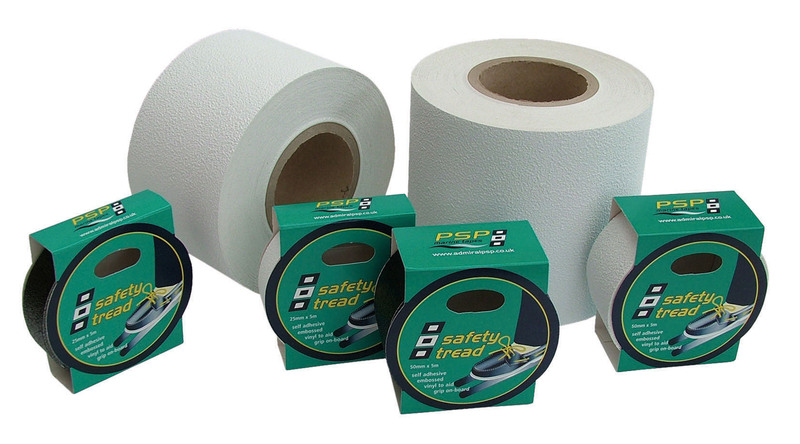 This hard wearing and durable tape comes in black, frosty clear or white, and in rolls of 5 metres with a width of 25mm or 50mm. 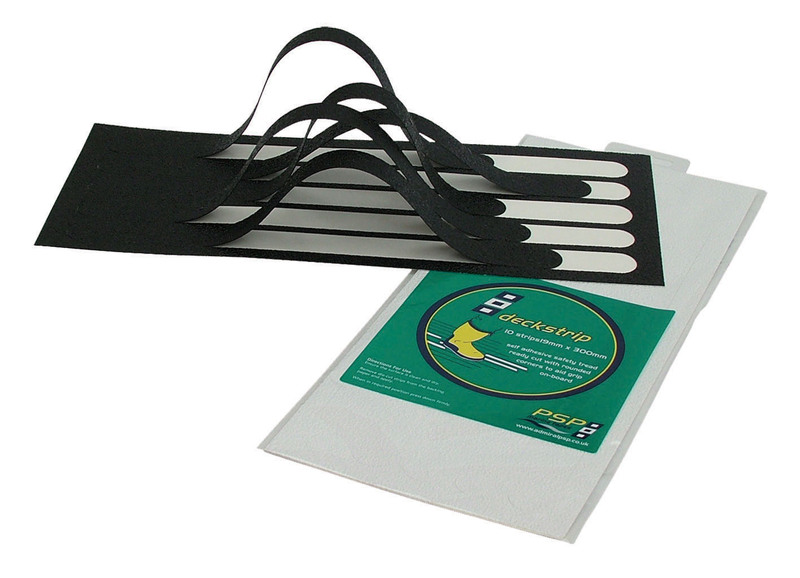 Safety Tread can also be purchased in sheet form called Deck Strip, which comes in packs of two sheets with five die cut strips with rounded ends in each sheet. PSP Marine Tapes produce specialist products to meet the discerning requirements of water users; in this instance to provide a top quality non-slip surface for water covered decks. This is part of ongoing development to make sure that PSP’s specialist products work for their customers and that they have the right solution to hand for safety issues or on board repairs. All PSP products are easy to find anywhere in the world – just look for the logo, which is the international code flags ‘Papa, Sierra, Papa’. Availability: Via retailers and commercial distributors worldwide. If you experience difficulties obtaining PSP Safety Tread, please contact PSP direct.